Kuppathu Raja is an upcoming tamil film directed by director turned choreographer Baba Bhaskar and produced by S Focuss Entertainment. The movie stars G.V.Prakash, Parthiban, Poonam Bajwa, Palak Lalwani, Yogi Babu and others. The G.V.Prakash musical has cinematography by Mahesh Muthuswamy and editing by Praveen.K.L. The trailer and songs of the film have been released already and received a good response. The makers have now released a sneak peek video from the film. 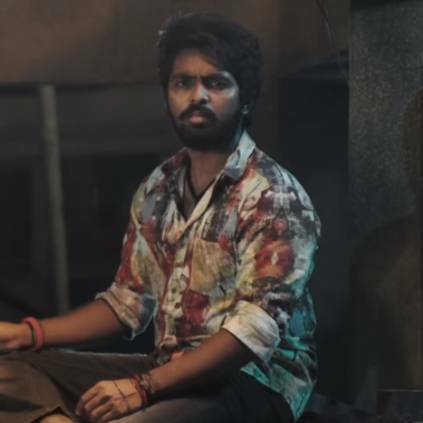 This one minute fifty-seven seconds video shows a girl chased down by goons who run towards G.V.Prakash. People looking for online information on Baba Bhaskar, G. V. Prakash Kumar, Kuppathu Raja, Palak Lalwani, Parthiepan, Poonam Bajwa, S Focuss Production, Sneak Peek Video will find this news story useful.